“it stays really cool in the cellar and i set up a couple of tables for some things. 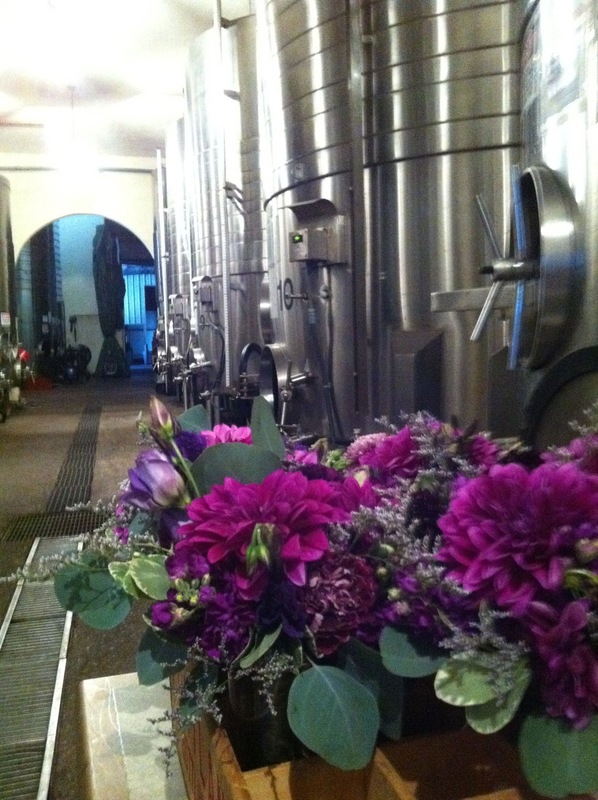 you could stash the flowers in there until the bridal party is ready for them,” offered the gal working at silvan ridge winery on saturday. i don’t know what i was expecting, but i was almost startled by the giant steel wine drums. at least i didn’t drop my crate of bouquets. congratulations to kim and richie!